Samsung had a surprise this year for smartphone fanatics during their Unpacked event last February 20. It was their first ever foldable phone. It’s not the world’s first ever foldable phone, China had beat them to it, but it was the first one that came to the western market and it will be the only foldable phone legally sold in the USA. The presenter at the event didn’t try to hide the fact: this is a luxury item. The Samsung Fold isn’t cheap and you will struggle on deciding on whether to try it out or not. So it is worth it? At $2000 you’ll get a 4.6-inch folded screen and a 7.3-inch unfolded display. 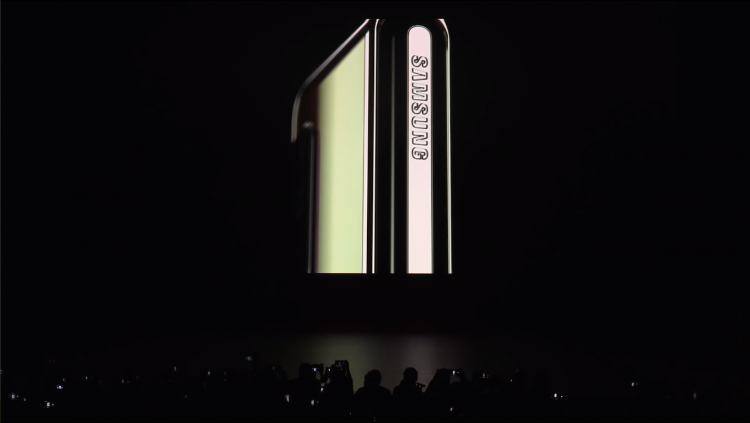 The Samsung Galaxy Note 9, the flagship phone last year, is just around 6.4-inches. It’s a 0.9-inch leap from last year. The 4.6 screen is an AMOLED display, while the 7.3-inch is called Infinity Flex AMOLED. This screen is special because it was made to be folded 200,000 times without showing any wear or tear. That’s 5 years worth of durability if you fold it 100 times a day. You might be wondering why it seems that there are two screens. Well, that’s because there are. The screen that’s used when folded and the display that’s used when unfolded are two different screens. 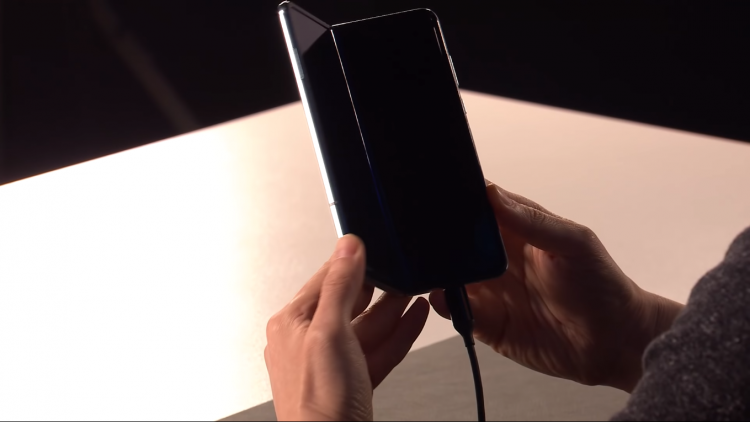 Unlike the Huawei Mate X, Samsung Fold’s rival, the Fold folds inside so it needs a secondary screen. Won’t that make the phone consume more power, having two screens? Well, yeah. But Samsung solved this issue by adding two batteries. And they made it so that the batteries will act like one unit, making it work like a 4,380mAh battery. The two batteries are laid on each half of the phone, giving it more balance. Inside the phone is a 7nm 64-bit octa-core processor and 12GB of RAM. That’s 4GB more than the Huawei Mate X. It also comes with a 512 GB UFS Storage space for faster reading of stored data. The device comes complete with a 16MP f/2.2 123-degree ultra-wide camera, a 12MP f/2.4 telephoto camera, and a 12MP dual-pixel wide camera. 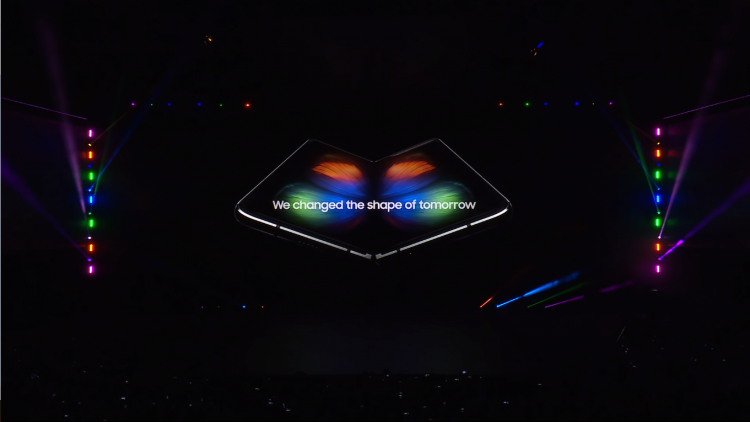 Unfolded, you can also use the 10MP dual-pixel f/2.2 wide camera and the 8MP f/1.9 RGB depth camera located at the corner of the top right. Folded, there is also a 10MP dual-pixel f/2.2 front camera. The spine of the smartphone is engineered so that the phone’s screen truly folds. no gaps in between, unlike earlier foldable phones from China. The Infinity Flex AMOLED allows the phone to fold this much so it can retain the minimum thinness of 17mm. Opened, the smartphone is 6.9mm thick, which is pretty thin already. The presentation emphasizes that you can use your apps either folded or unfolded. And that the unfolded version will let you view the apps with a wider screen. This is great for mobile productivity and viewing games, maps, and watching movies on the go. The screen size is something Huawei has contested against in their MWC 2019 presentation and Huawei’s Mate X is truly bigger than the sleeker Galaxy Fold. But the sleek design may allow easier usage, especially with one hand in folded mode. No doubt that people with bigger hands will have no problem using the Mate X, but that can’t be the same with Asians, who have generally smaller hands. The 4.6-inch screen may be more ideal for them. So is it worth the $2000 price tag? For a phone-tablet foldable hybrid, you cannot deny the usefulness of its features. You can use it for work, for play, for communication, and the best part is that you can do so with a wider screen. You can do that on your current phones, but it will be hard, which is why some folks don’t bother. In folded mode, the phone fits all hand sizes, giving it a better grip. With 12GB of RAM and an octa-core processor, you’ll have no trouble multitasking, switching between typing and browsing, for example. If you’re looking to replace your phone and tablet at the same time, this might be a good time for you to try this out.